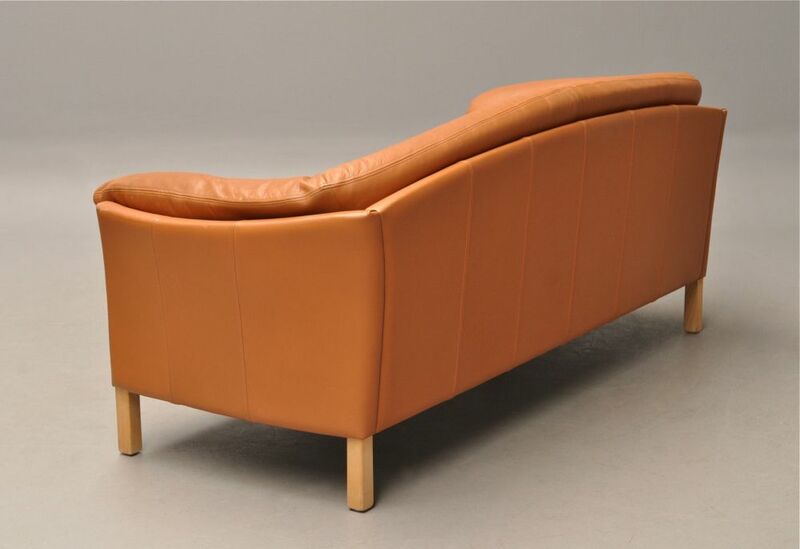 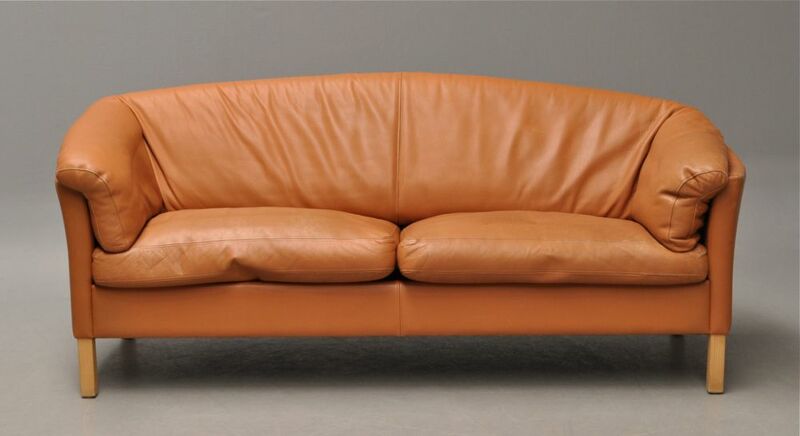 This sofa was made in Denmark, probably in the 1980s, but has a more 60s or 70s look. 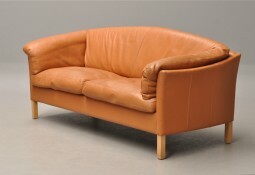 The leather is a light tan colour and is soft and supple to the touch. 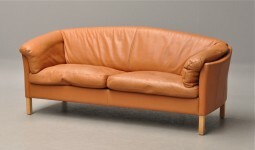 It has that wonderful well used, lived in look.